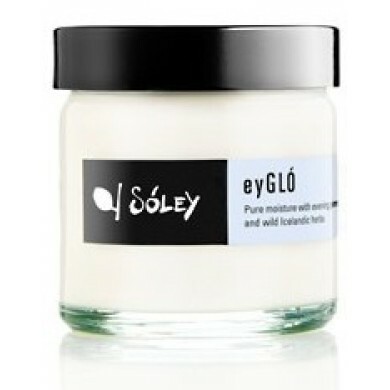 Sóley Organics Facial Cream Pure Moisture eyGLÓ is the certified organic, concentrated moisturizer which is rich in radiance-giving antioxidants such as evening primrose, rosehip and frankincense oil that improve skin elasticity and longevity while our signature blend of hand-picked wild Icelandic herbs work to tone, tighten, eliminate harmful bacteria, fade sun damage, and brighten complexions. Suitable for all skin types. eyGLÓ is Icelandic for 'eternal glow'. How to use: Apply eyGLÓ pure moisture to clean skin and use fingertips to gently massage the moisturizer into face and neck. Work the formula in circular movements from the centre of face outwards. For best results, apply morning and evening to clean skin that has been refreshed and toned by nærð Soothing Tonic. 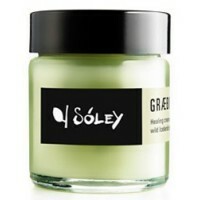 Sóley Organics GRÆÐIR Healing Shampoo is made with our flagship GRÆÐIR&nb..